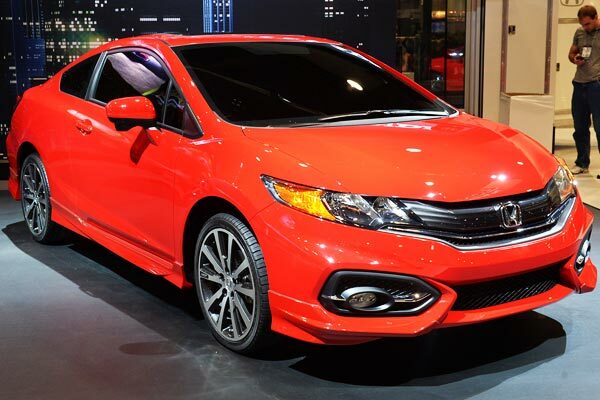 HONDA CIVIC COUPE 2014. It now comes with 18" wheels standard, replacing the old ones of 17". CIVIC COUPE 2014 ENGINE. The Si Coupe is getting 205-HP (153 kW) and 235 Nm (174 lb-ft) of torque from the 2.4L four-cylinder engine. 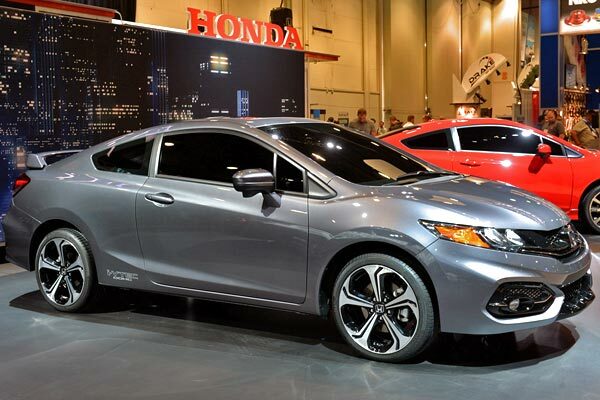 HONDA CIVIC COUPE 2014. The new exclusive design includes a unique lower front bumper garnish, larger rear deck-lid spoiler, a distinctive front spoiler and sporty rear air diffuser. HONDA CIVIC COUPE SI I-VTEC 2014. John Mendel, the auto sales Honda American executive VP introducing the new Civic Coupe. More aggressive front end and a more stylish design in the rear were some of the new changes made to the best selling Honda car. VERY RED. 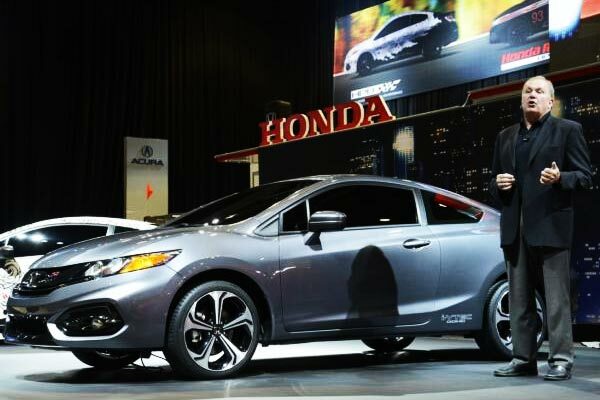 The entire line of the Civic coupe lineup gets new styling changes for this coming 2014. 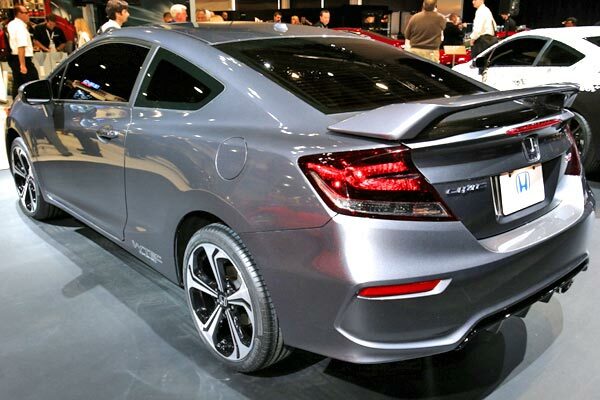 HONDA CIVIC COUPE 2014. More interior and technology upgrades will be revealed at Los Angeles Auto Show in the coming days. The Japanese manufacturer unveiled at the SEMA Auto Show, during the exhibition specialized in automotive equipment, an aesthetic update of the best-selling compact U.S.
After in 2013 the sedan model of the Civic received a visual renovation, the brand decided that now it is the time to do the same with its coupe version. 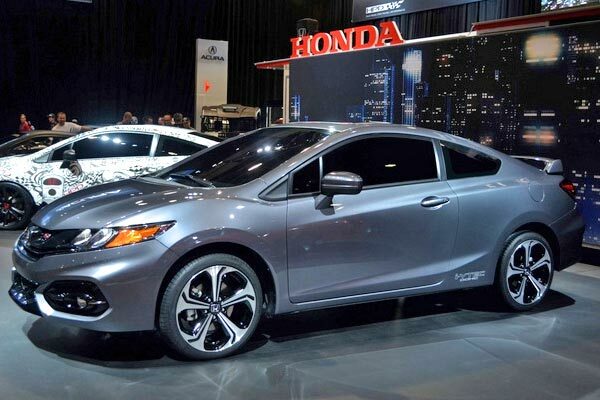 The presentation of these new developments took place at the SEMA Auto Show, where it was exposed a unit of the coupe with the brilliant inclusions along with a Civic Coupe Si model that besides visual innovations also increases its features. 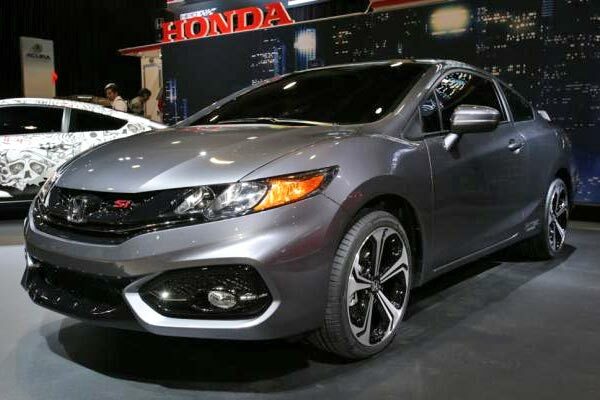 The new Civic has more aggressive lines on the grille, hood, front fenders and headlights, besides having sportier bumpers, new wheels design and modified rear-view mirrors. 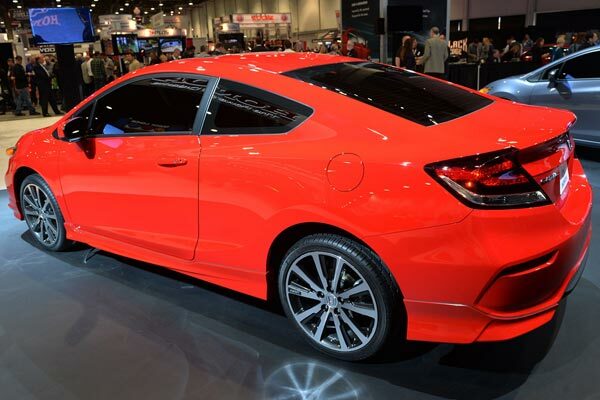 In the case of the Civic Si Coupe, we can see the same improvements but adding distinctive details like the embellisher on the front bumper, the bigger rear spoiler, a custom front spoiler and a diffuser in the rear which gives to the car more sportiness. It was also installed an exhaust system that increases the power to 205-HP and the torque up to 174 lb-ft.